The 78704 Midweek Group has put together a fundraising event that involves a parents night out! 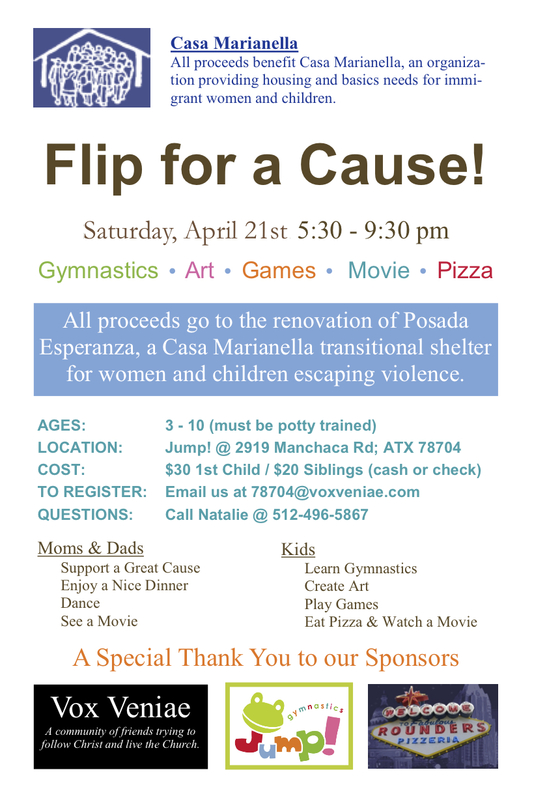 Parents can drop off their kids for an evening of gymnastics, art, games, movie and pizza. Then they can enjoy an evening out themselves. The best part is that all the proceeds go to the renovation of a Posada Esperanza house, which is a transitional shelter for women and children escaping violence. Just found your info on a random church search. this is interesting. if i stay in austin would like to get involved.